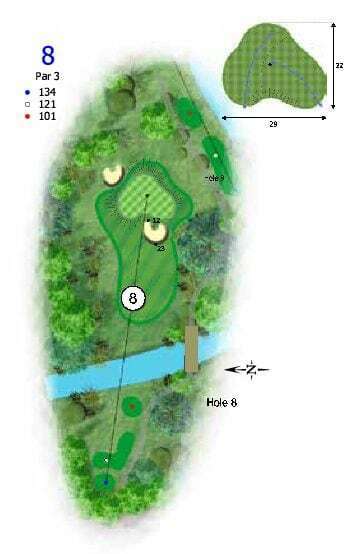 The eighth is a short par 3 and an accurate tee shot is required. With deep bunkers at the front and rear of this elevated green, a stray shot will see you faced with a tough recovery up a steep embankment to some tight pin positions. The 8th is another good chance at birdie. Pick your iron, trust the distance and attack the pin.